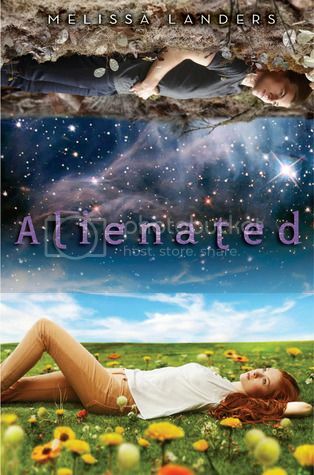 As soon as I saw the cover for Melissa Landers’ Alienated, I wanted the book, so I was stoked when I received an ARC. To be honest, I haven’t read very many books containing aliens, and I was concerned the romance of this one would steer along the same path of the ones I have read. However, the concept of this one, whilst not particularly original in basics, was original in its execution, as was the ‘student exchange’ idea (in my experience, anyway). I enjoyed that we weren’t given a hot and arrogant d*** of an alien that every girl in high school wants to drop her knickers for, just because he’s hotter than every human guy in school. Oh wait! Okay, so Aelyx was hot, but mostly nobody wanted anything to do with him due to realistic human reservations about the species’ true intentions. Also, he was a bit of a d***. But, in his defence, this was far less to do with his arrogance and self-assurances of his hotness, and way more to do with his breeding, upbringing, and social expectations of his own planet. On the downside, the reasons behind his attitude also kind of hindered the believability of the romance aspect of the book. Because, due to his inbred attitude, Aelyx keeps an emotional distance from Cara—until he researches kissing and suddenly is thinking of this human girl (one who has stuck by him from the beginning despite everything it costs her) in a wholly new light. Though, in all honesty, it takes a bit of time to get to this point, and … well, they’ve only kissed twice when she’s deciding she’s in love with him and is prepared to spend the rest of her life with him, as well as perhaps jet off into the stratosphere. So, for me, it didn’t quite ring true. Which means, I mostly was really enjoying the book up until the first kiss, after which it all felt somewhat rushed and forced. Also, I think the unbalance of content between the two different POV’s didn’t help this either. Because so much of it felt one-sided. From Cara’s POV, we get her reaction to him from the off, and are shown her feelings most steps of the way. Yet, from Aelyx’s POV, his much more subtle (due to his alien ways) thoughts on Cara are so understated, it’s almost as if he’s indifferent in his opinion of her, and even once he begins to have slightly more romantic thoughts toward her, his seeming lack of enthusiasm just makes it fall almost flat, because girls want guys to be fighting their emotions—which could have worked well in this story, I feel—rather than squashing them so thinly the reader can barely see them. On top of this were a couple of moments of whiplash behaviour from two of the characters. One of them was the female MC, Cara—one second she’s crapping herself about Aelyx’s assumption that they will move to his planet, and the next (when her hand is forced) she’s rushing out the door with little consideration or argument. And then we have her dad’s behaviour—because he goes from a No way is she going! kind of reaction to coming up with the idea for her to do a runner with Aelyx and practically shoving them out the door. So, as you can see, my opinion on this one is kind of a mixed bag, but I think it’s fair to say I enjoyed it up until the point when I realised the romance wasn’t hitting the mark. I’d say it’s still worth a read though, as the following book promises a whole lot of conflict—especially with the pertained to second-interest we see at the end. Melissa Landers writes light, witty sci-fi for teens and the young at heart. Look for her ALIENATED series coming in early 2014 from Disney Hyperion. Additionally, she writes contemporary romance for adults under the name Macy Beckett.